Where can the public see Larry Sultan’s work? The best way to see work is to check our Exhibitions listing and the Public Collections list in Larry’s CV which includes museum collections where Larry Sultan’s work can be seen. Larry Sultan’s work can also be viewed at Stephen Wirtz Gallery in San Francisco, California and Galerie Thomas Zander in Cologne, Germany. I would like to purchase a work by Larry Sultan or understand my work’s value. Who can I contact? 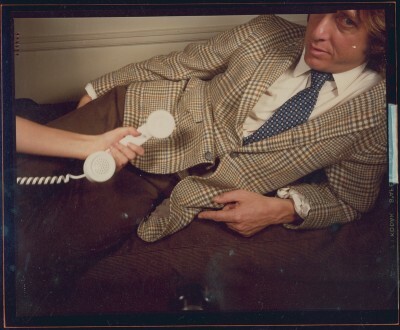 Does the Estate of Larry Sultan authenticate or attribute works of art? You should provide as much information to IFAR as possible, including provenance history, supporting documentation, medium, dimensions, etc. Who do I contact to discuss including a Larry Sultan piece in an exhibition? Who do I contact to use an image of a Larry Sultan work? All image requests for publication, including all media and press-related usage requests, academic and non-product-based commercial use should contact the Estate at studio@larrysultan.com. Please include all relevant information and deadlines. Does the Estate consider donating artwork to auctions or charity functions? The Estate does not donate artwork for auctions or charity events. Can I apply to the Estate of Larry Sultan for a grant? The Estate of Larry Sultan is not a foundation and there are no grants available.